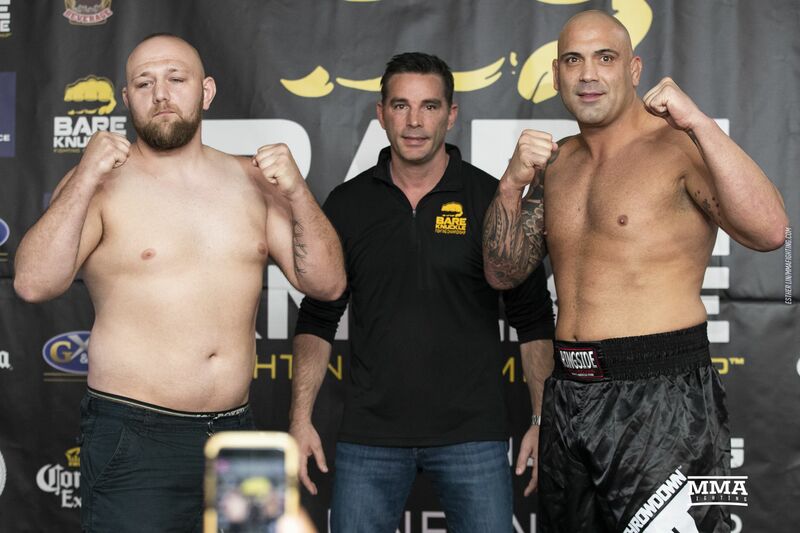 Bare Knuckle Fighting Championship weigh-ins were held Friday evening. 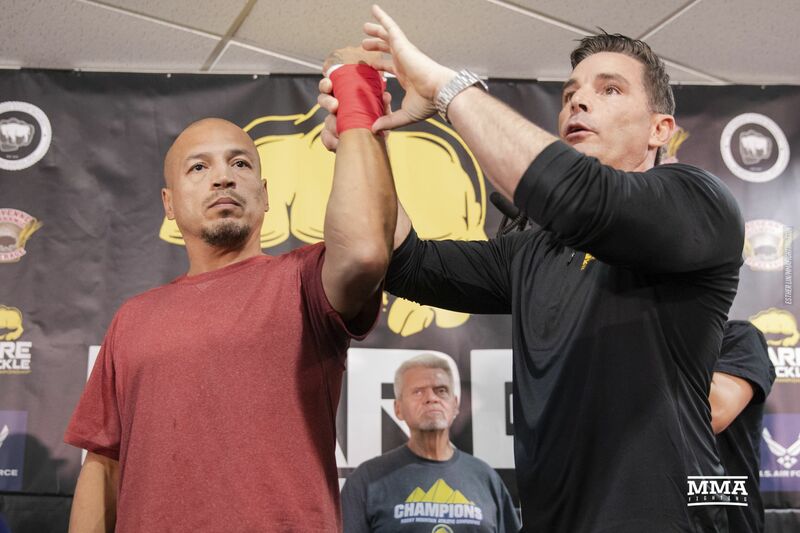 Wrapping hands to leave knuckles bare, wrists protected at Bare Knuckle Fighting Championship. 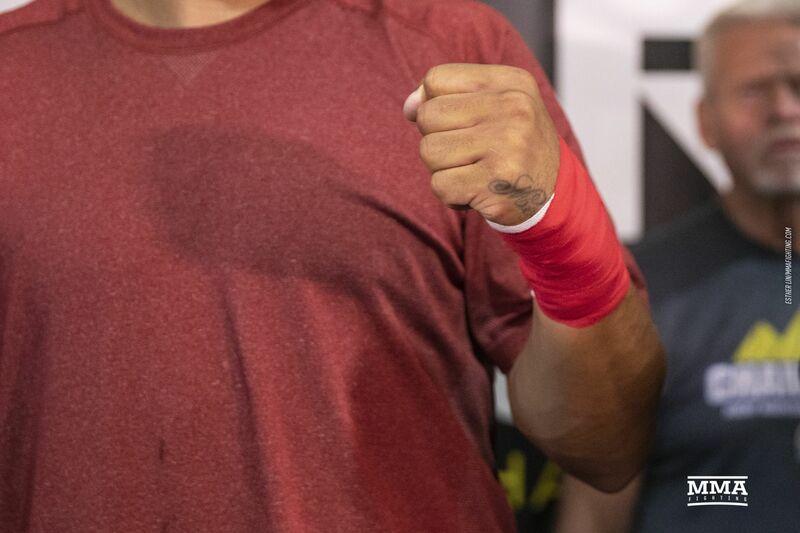 How hands will be wrapped at Bare Knuckle Fighting Championship. 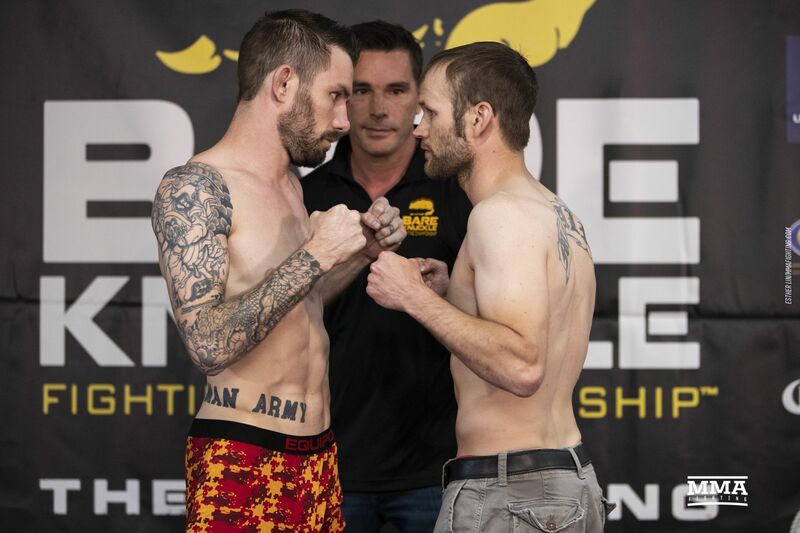 DJ Linderman and Arnold Adams square off at Bare Knuckle Fighting Championship. 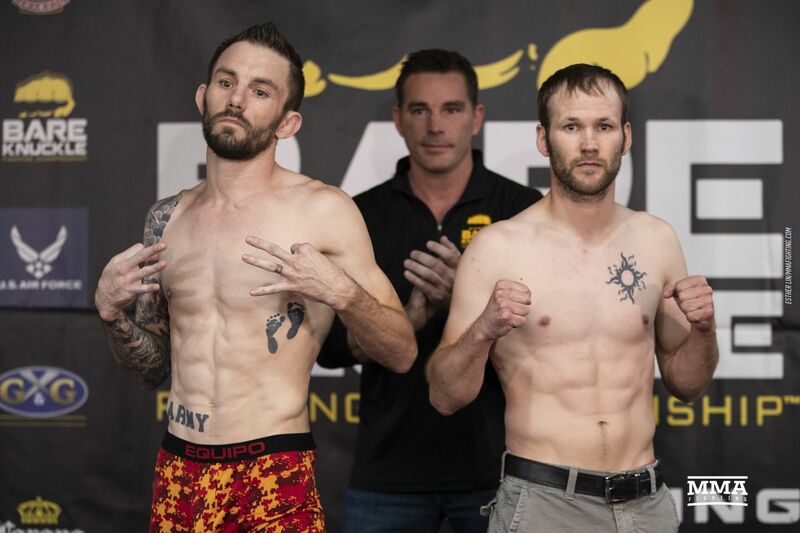 DJ Linderman vs Arnold Adams pose at Bare Knuckle Fighting Championship. 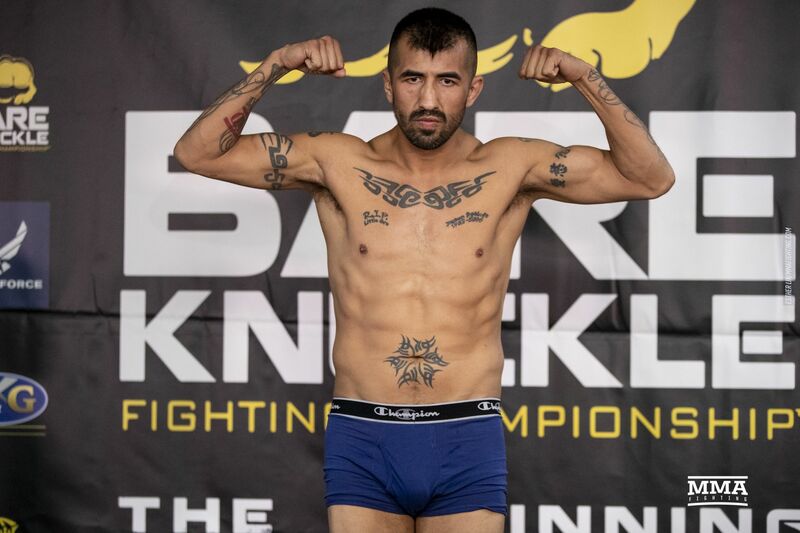 Estevan Payan poses at Bare Knuckle Fighting Championship. 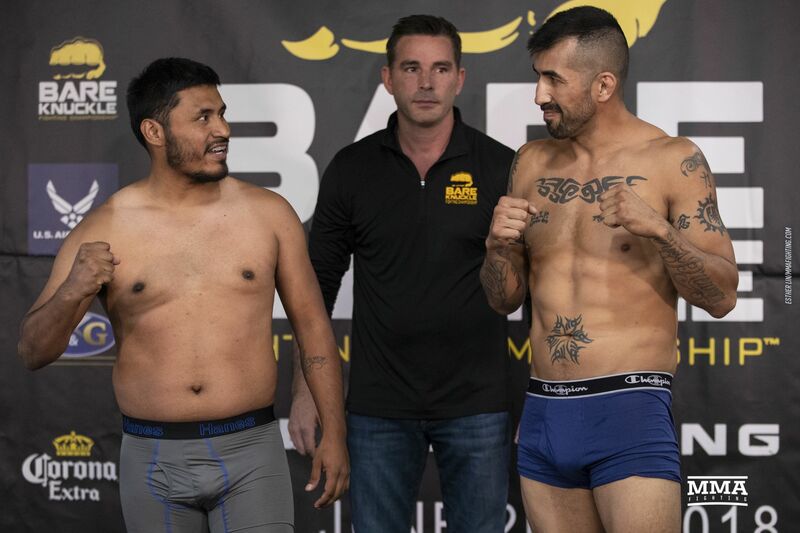 Omar Avelar and Estevan Payan square off at Bare Knuckle Fighting Championship. 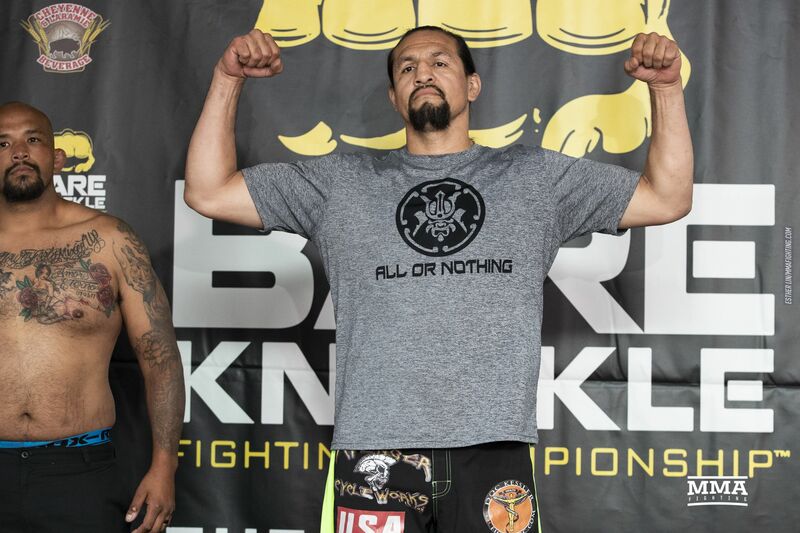 Omar Avelar and Estevan Payan smile at Bare Knuckle Fighting Championship. 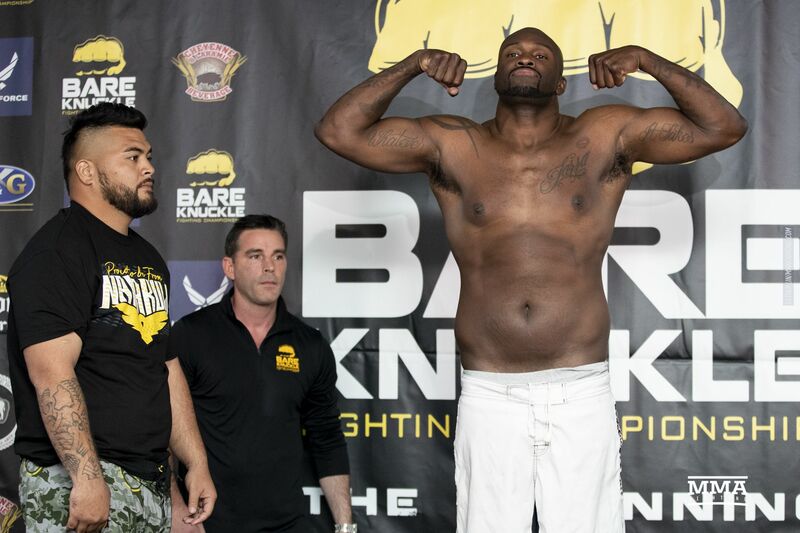 Maurice Jackson poses at Bare Knuckle Fighting Championship. 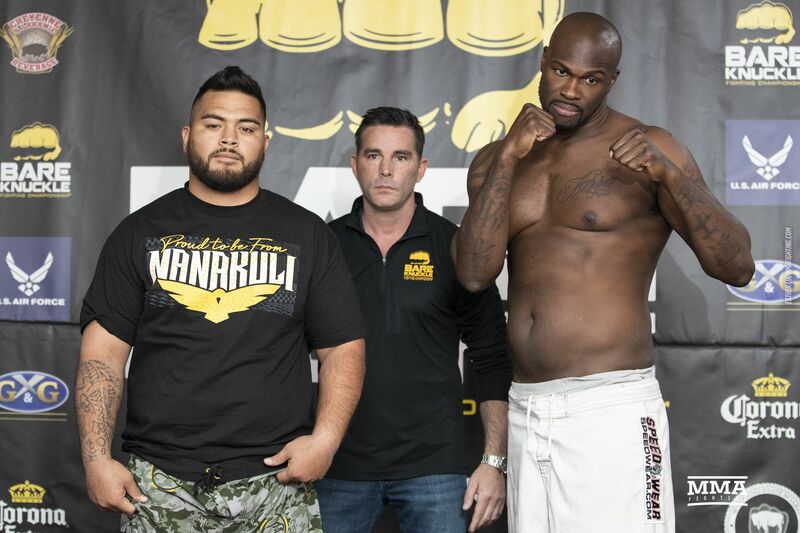 Dale Sopi and Maurice Jackson pose at Bare Knuckle Fighting Championship. 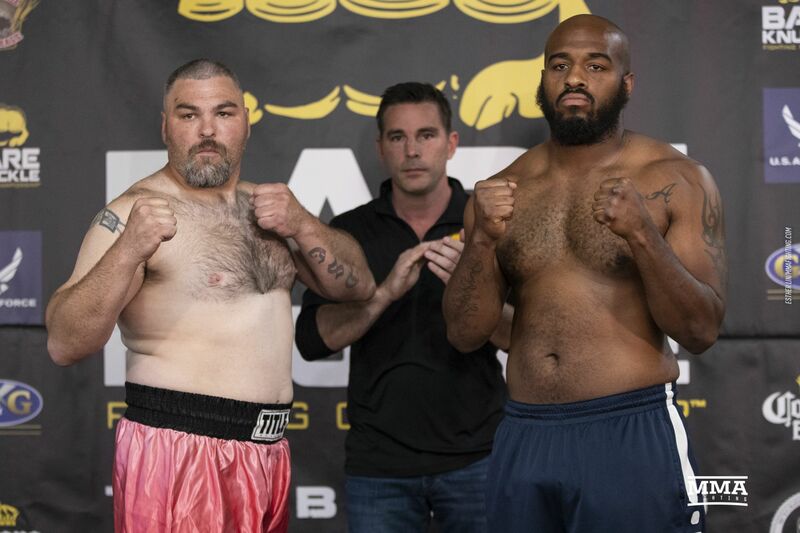 Travis Thompson and Reggie Barnett pose at square off at Bare Knuckle Fighting Championship. 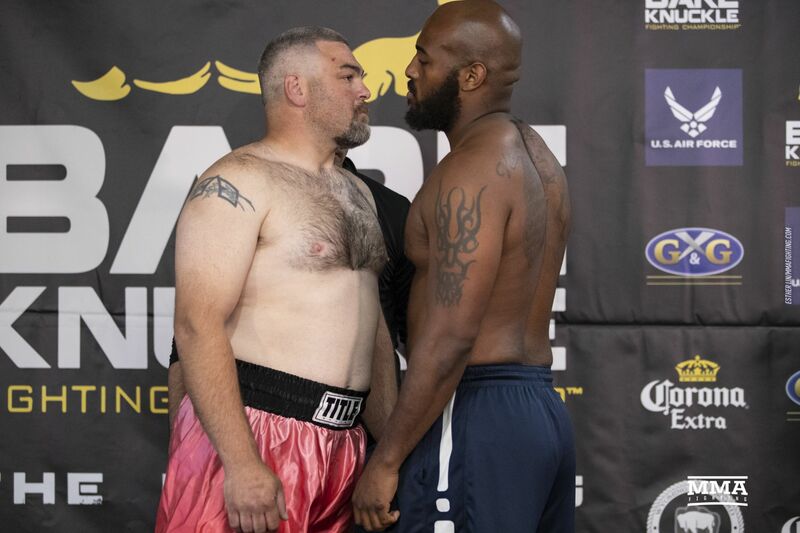 Travis Thompson and Reggie Barnett pose at Bare Knuckle Fighting Championship. 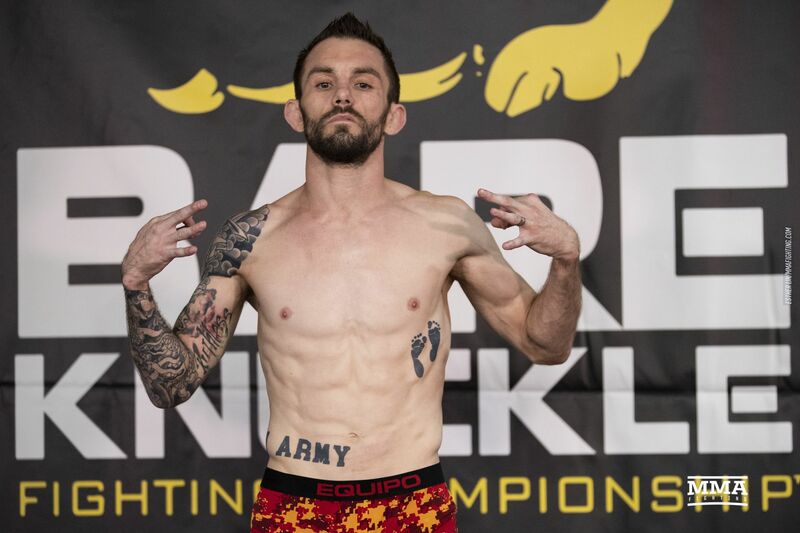 Nick Mamalis poses at Bare Knuckle Fighting Championship. Johnny Bedford poses at Bare Knuckle Fighting Championship. 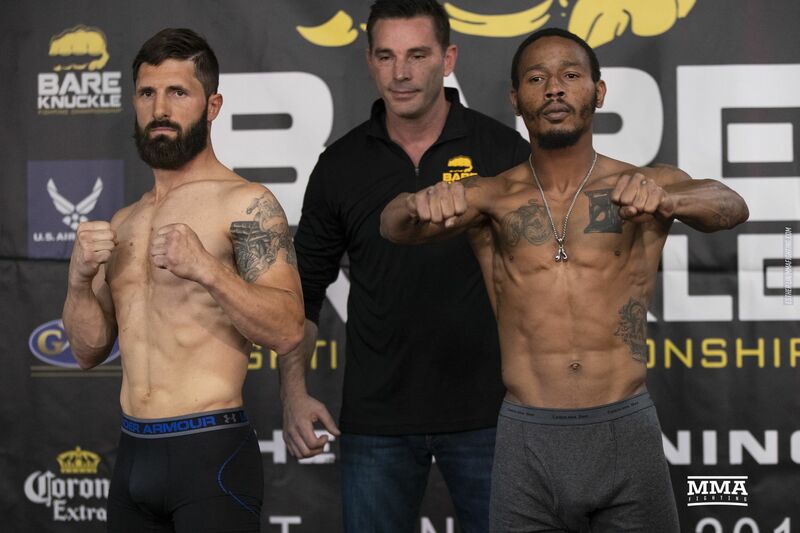 Johnny Bedford and Nick Mamalis pose at Bare Knuckle Fighting Championship. 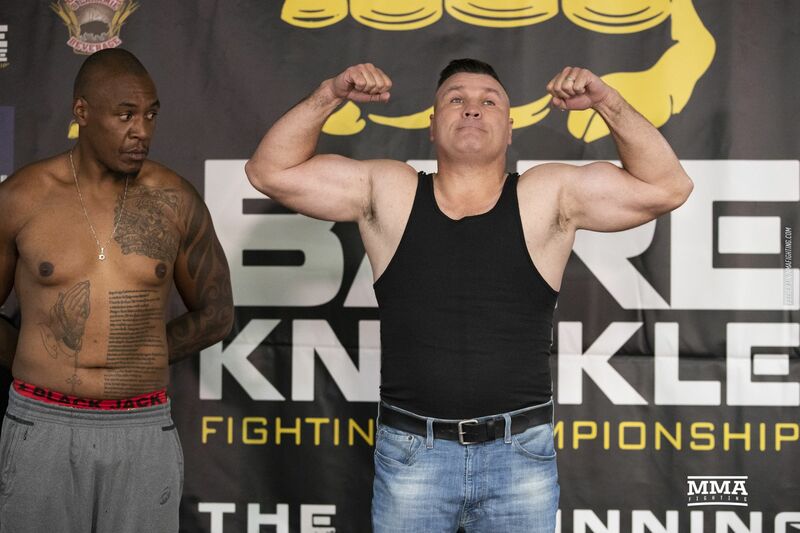 Bobby Gunn poses at Bare Knuckle Fighting Championship. 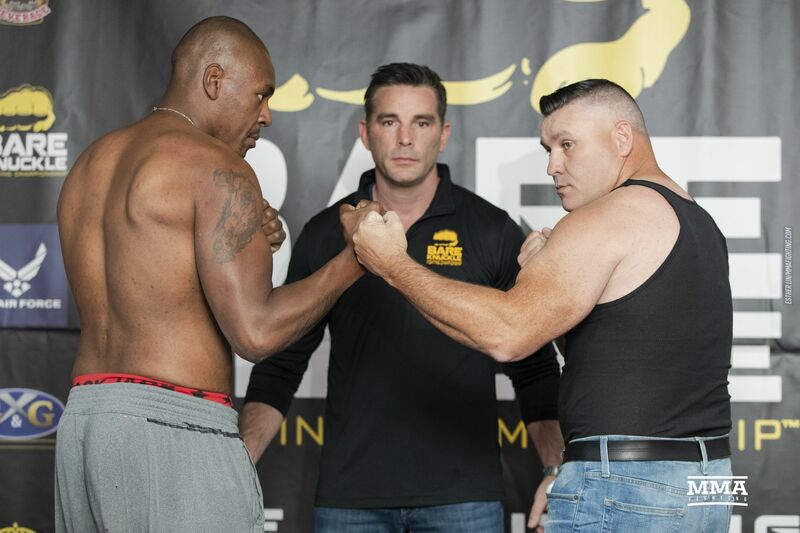 Irineu Beato Costa Jr and Bobby Gunn square off at Bare Knuckle Fighting Championship. 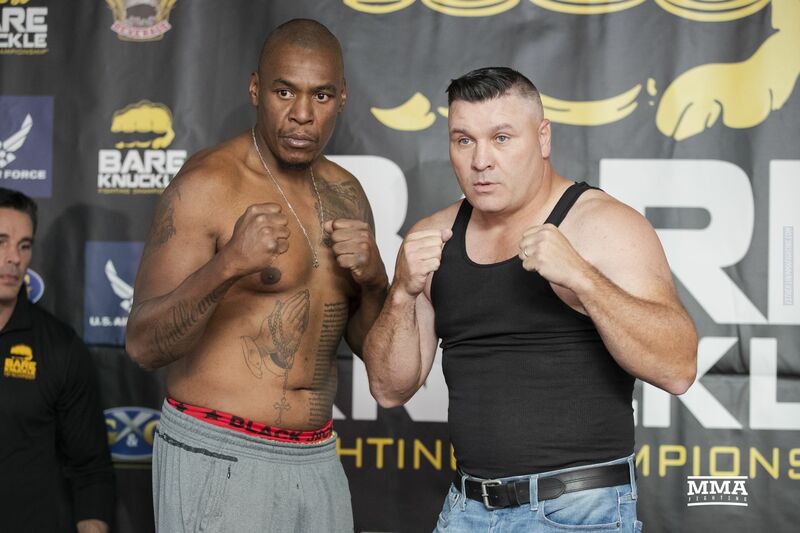 Irineu Beato Costa Jr and Bobby Gunn pose at Bare Knuckle Fighting Championship. 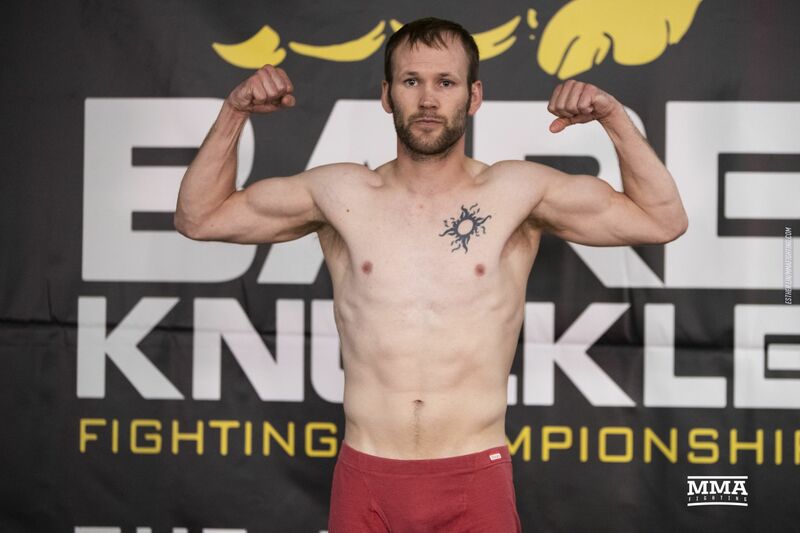 Sam Shewmaker poses at Bare Knuckle Fighting Championship. 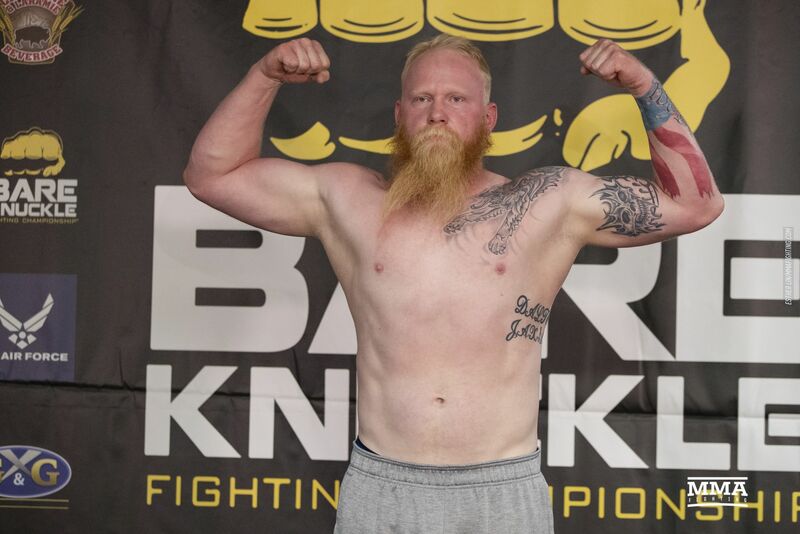 Eric Prindle poses at Bare Knuckle Fighting Championship. 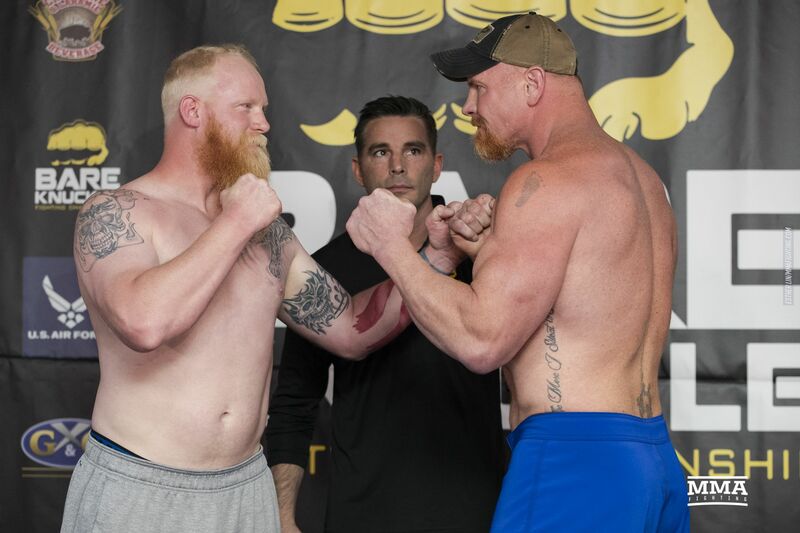 Sam Shewmaker and Eric Prindle square off at Bare Knuckle Fighting Championship. 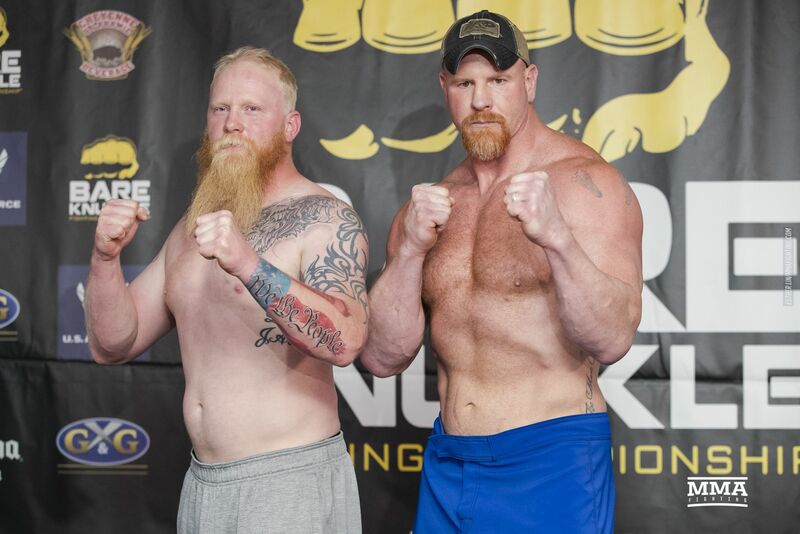 Sam Shewmaker and Eric Prindle pose at Bare Knuckle Fighting Championship. 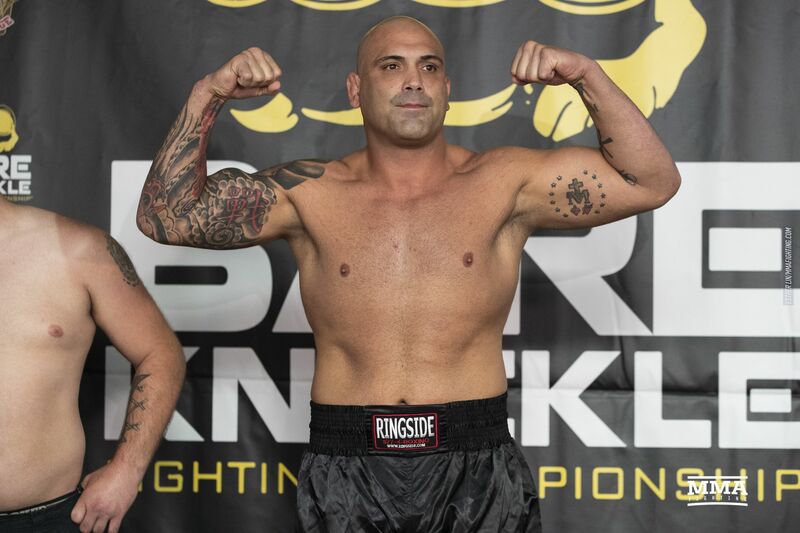 Joey Beltran poses at Bare Knuckle Fighting Championship. 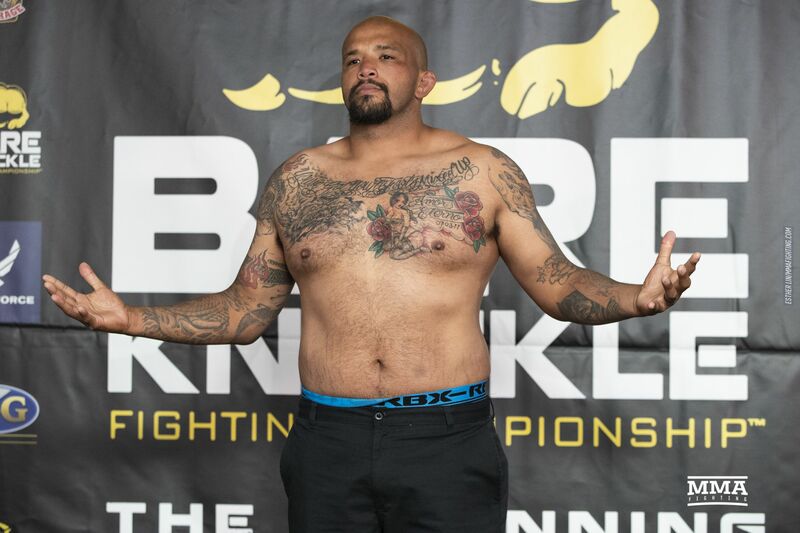 Tony Lopez poses at Bare Knuckle Fighting Championship. 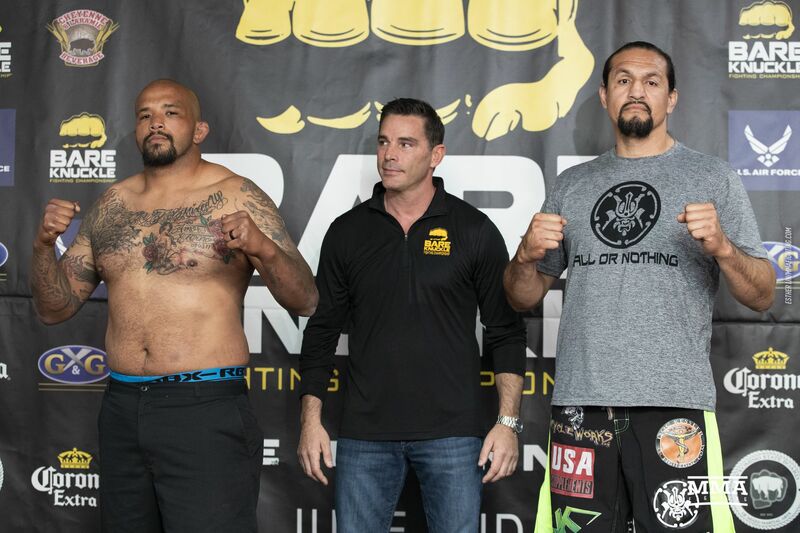 Joey Beltran and Tony Lopez square off at Bare Knuckle Fighting Championship. Alma Garcia poses at Bare Knuckle Fighting Championship. 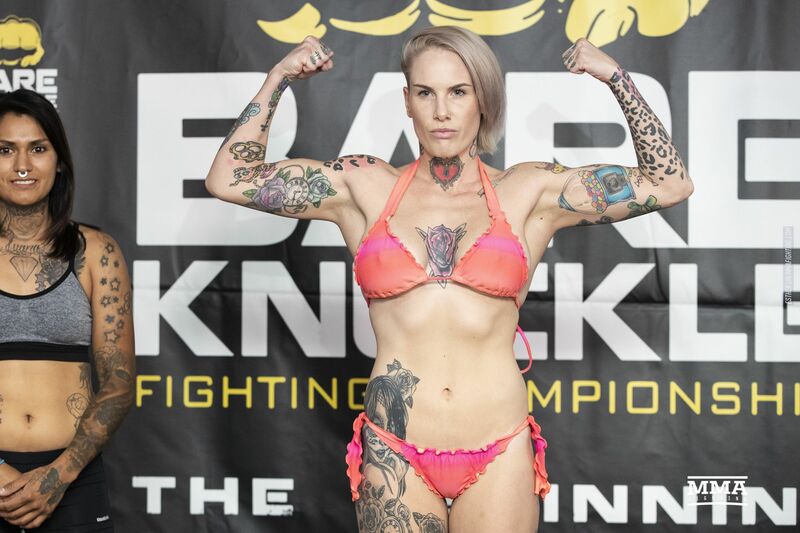 Bec Rawlings poses at Bare Knuckle Fighting Championship. 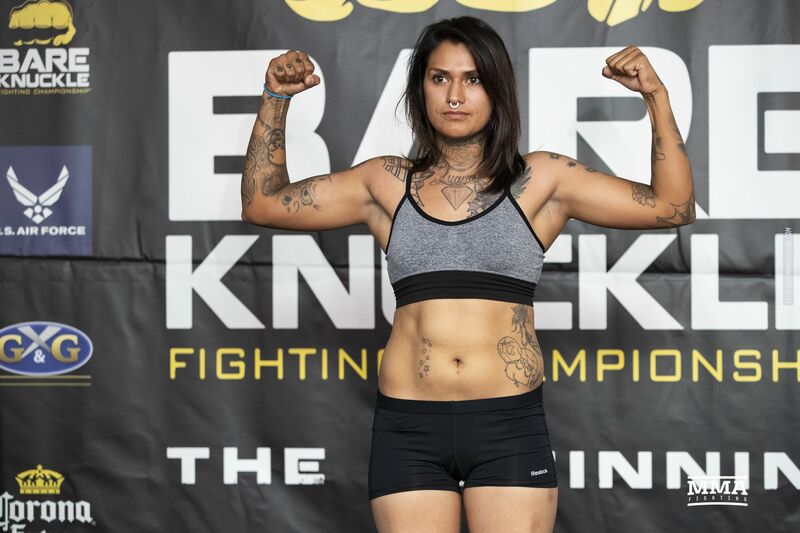 Alma Garcia and Bec Rawlings square off at Bare Knuckle Fighting Championship. 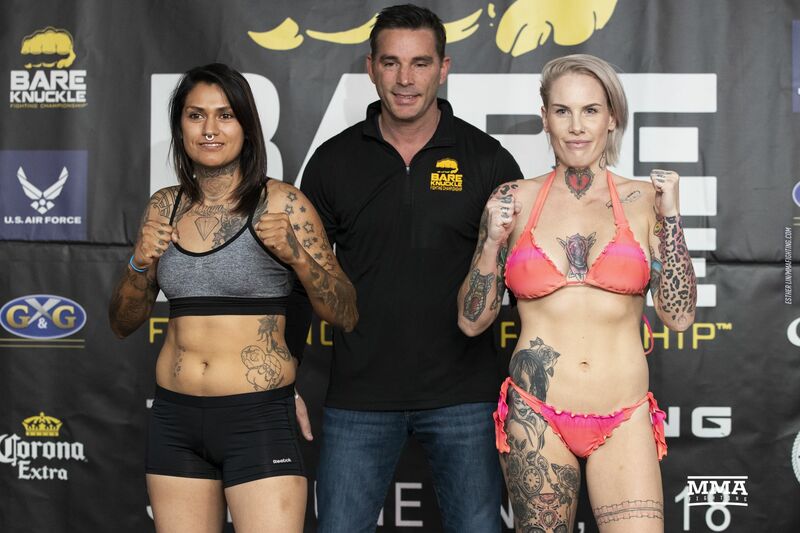 Alma Garcia and Bec Rawlings pose at Bare Knuckle Fighting Championship. 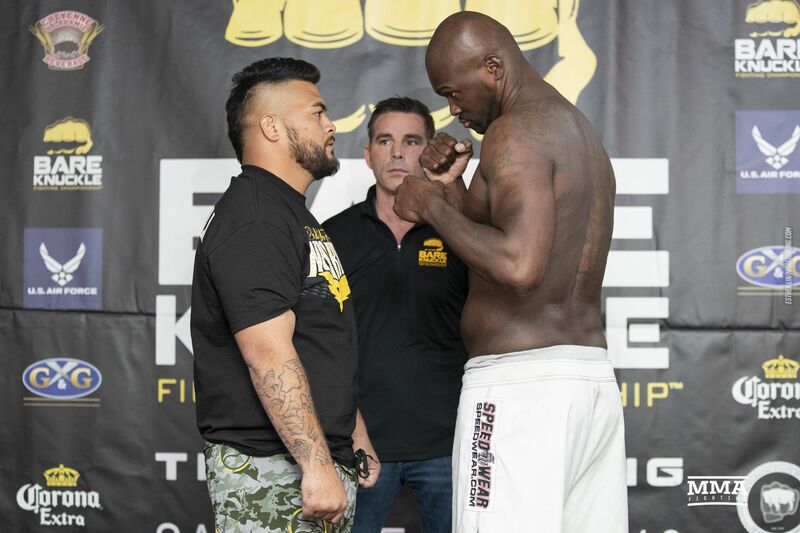 Ricco Rodriguez poses at Bare Knuckle Fighting Championship. Lewis Rumsey and Ricco Rodriguez pose at Bare Knuckle Fighting Championship.